You are receiving this newsletter because you told us you wanted to hear more about the libraries in East Sussex. You'll receive regular updates telling you all about the latest goings on in your local library. Bear’s Reading Adventure go further! 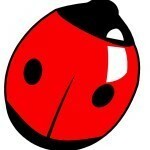 Following a successful pilot, all East Sussex libraries will now be offering young children a free sticker storybook. 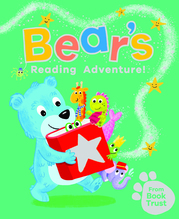 The book, Bear’s Reading Adventure, has been produced by children’s reading charity BookTrust, following feedback from library services that more encouragement is needed to get families into libraries. The scheme is open to all children aged five years and under who register as members in East Sussex County Council libraries. The book sees youngsters follow the blue bear on a reading adventure, which takes him to the park, supermarket and of course the library. Children help track down 10 missing objects from Bear’s adventure and earn a sticker for each missing object every time they go to the library. When children have collected all 10 stickers they can download a certificate which also contains tips for families on how they can have fun reading together every day. For more information about the children’s activities on offer in East Sussex libraries visit our website. The Scamnesty Roadshow kicked off in Uckfield Library last month. The roadshow gives people who receive scam mail the chance to bin it and get advice and support from experts. The Roadshow will run each week in a different library until February, where residents will be able to dispose of scam mail confidentially in a scam post box for it to be shredded. People will also be able to talk to Trading Standards and partner organisations, while an awareness session as part of the national Friends Against Scams initiative offering advice and support will be held in each library. Check to see if the Scamnesty Roadshow is visiting your local library. If you are concerned about yourself, or someone you know, being scammed report it by calling the Citizens Advice consumer helpline on 03454 040506. East Sussex librarians have been helping 2 former East Sussex residents track down others who they may have known during their time at Pestalozzi Children’s Village in the early 1960’s. Pestalozzi Children’s Village provided a surrogate home to children from European and Tibetan refugee families – as well as some English children from deprived circumstances. The children mixed in with the local community and many attended Claverham Secondary School in Battle. The Early Pestalozzi Children Project, organised by William Eiduks & Len Clarke (both former early Pestalozzi children), is recovering this story and wants to hear from anyone who has memories of the early Pestalozzi community and anyone who has photos or memorabilia from those times. 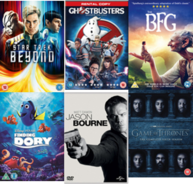 Did you know you can rent DVDs from your local library? With latest releases priced from £3.50 for a week's loan, you can find these popular titles in your local library. See the full selection of our new releases here.